erek Fry has been a church organist since the age of 13. He has broadcast organ recitals on the BBC and taught in some senior schools before becoming head of music at The Northern Grammar School. His last teaching appointment was as head of music at Saint John's Cathedral Choir School, Portsmouth. 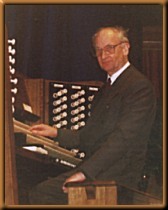 He has been organist of the same Cathedral since 1976.